Delightful Little Mess: Brown Bag Lunches and Big Yellow Buses! Well... more like skipping lunch and taking a shuttle but still exciting none the less. 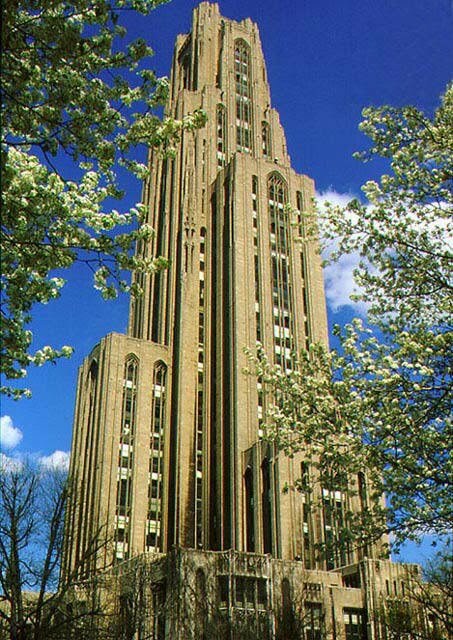 Future hubs has started school at the University of Pittsburgh for summer semester! I think I'm as excited if not more than he is for this transition in his life. Partly because it will give him a routine and schedule, which is key for TBI (traumatic brain injury) patients when it comes to improving short term memory. It makes sense... As when I am on vacation or break from school for more than a couple days, I (without a brain injury) have a tendency to mix up when I did something or forget to do things. But once I'm back on my routine, I'm good as gold again! The other reason I'm so excited is because of all the things that went wrong along the way impeding him getting here. See hubs is a transfer student who was 13 credit hours away from getting his degree at the college on Ft. Riley. Sadly his medical discharge came before he could finish his associates. But shortly after getting back to the burgh, he decided that he wanted to go to Pitt. He would finish the associates in general studies and then work on his b.s. with the idea of working towards a MS in either social work or physical therapy. He planned on applying for spring semester as fall was too soon to begin while still trying to transition back to civilian life. Unfortunately his transcripts didn't make it in until classes had already started. By the time he was to be approved for classes, he would have missed a week or two and didn't think that was wise so he waited for summer semester. As summer approached, he sent in his postcard for summer acceptance and received his acceptance package. He went about determining what he needed to submit for the GI bill and enrollment to only find out that he had to pay out of pocket the application/enrollment fee (eventually the GI bill would repay him that money). Tuition was luckily covered by Pitt until the GI bill kicks in. At this point, he thought he was all set for school but as the date to schedule classes got closer, he still was not appointed an advisor. He persisted enough and finally got one but wasn't given a meeting until a week later. By the time he got to see his advisor, classes he needed were filling (Hello! Transfer student! with most of his electives filled!). To make matters worse, the hold somehow didn't get taken off his account by his advisor and it set back his registration another day. By the time he got to register, all second session classes he wanted were filled so he ended up piling all his classes into first session. Anyone else have a non-traditional undergrad in their household as well?